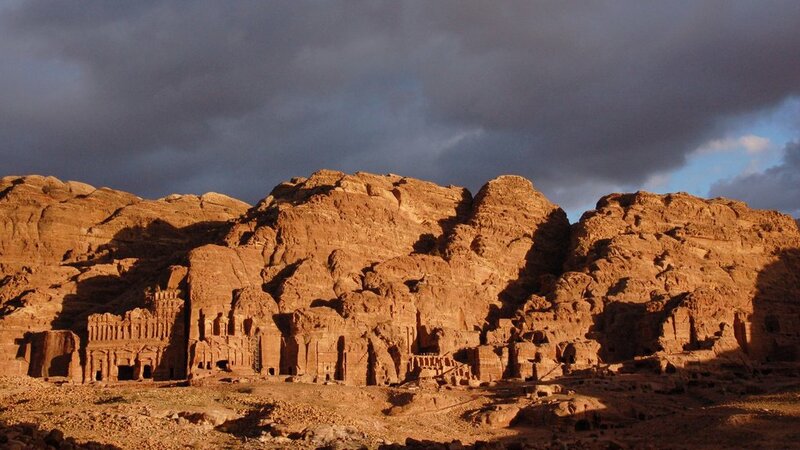 A short trip to Jordan to visit Petra and Wadi Rum is a great extension to a holiday in Israel. This trip gives you a good impression of the rich cultural heritage of Petra and natural beauty of Wadi Rum in just a few days. After crossing the Wadi Araba border crossing, you will be welcomed to Jordan by the taxi driver who transfers you to Wadi Musa, the city next to the ancient city of Petra. This scenic drive takes about 2 hours. Once in Wadi Musa, you will be dropped off at your local hotel or B&B. Depending on your time of arrival, you can either go and explore Petra, visit Petra by Night (Monday, Wednesday, and Thursday) or have dinner and enjoy a relaxed evening. After starting the day with an early breakfast, it's time to explore Petra. It is recommendable to start early to beat the crowds. Especially walking down the Siq to the Treasury is much more impressive when it is quiet. Which places you visit and how much you can explore during this day depends on your pace and interest. For sure you can do the Siq, Treasury, the Amphitheatre, the street of Facades, the Royal Tombs and the ancient city. You can also choose to hike to the mesmerizing Monastery, hike up to the High place of Sacrifice for awesome views over the ancient city or hike the Al Khubta trail to see Treasury from up. These are just a few of the many options! After a long day in this ancient and enchanting rose-red city of Petra, you can rest, relax and review your experience and impressions of Petra while sipping from a drink at the terrace of your local hotel. And if you don't feel like going out for dinner, you'll have the option of enjoying a delicious home-cooked meal. 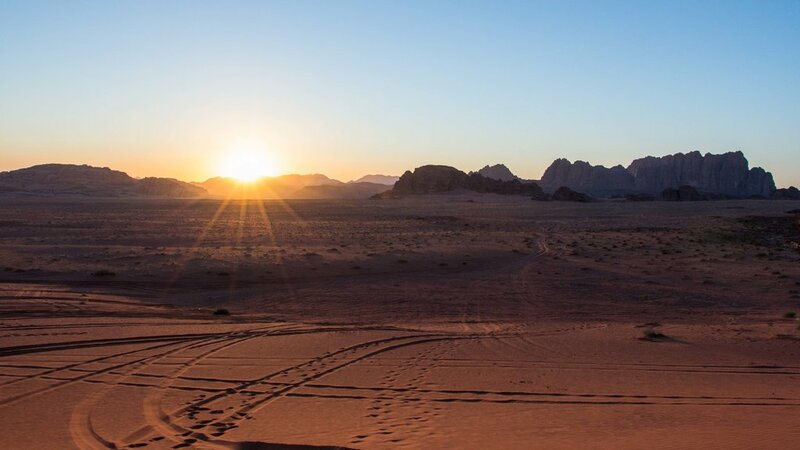 Another early morning and breakfast, where your taxi driver will be waiting to bring you to Wadi Rum. You'll meet your host and guide at your accommodation in Rum Village. From here your desert tour starts. 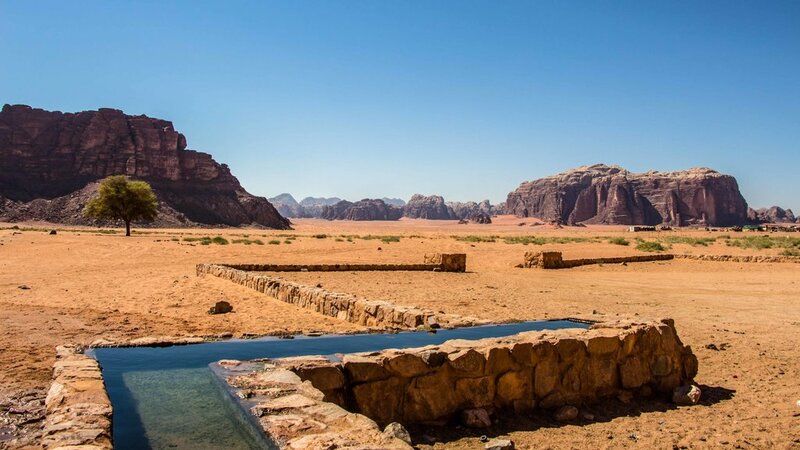 During the tour, you visit some of the most famous sites in Wadi Rum. A jeep is used to drive from site to site. You'll explore historical sites as Khazali canyon and the Lawrence house, walk a canyon and hike up a mountainside and a rock bridge. 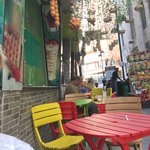 At lunch time you take a break. While you relax and enjoy the beautiful scenery, your guide prepares a fresh Bedouin lunch. After lunch, it is time to relax until the heat of the day starts to go. Then the tour continues and you visit some more sites. 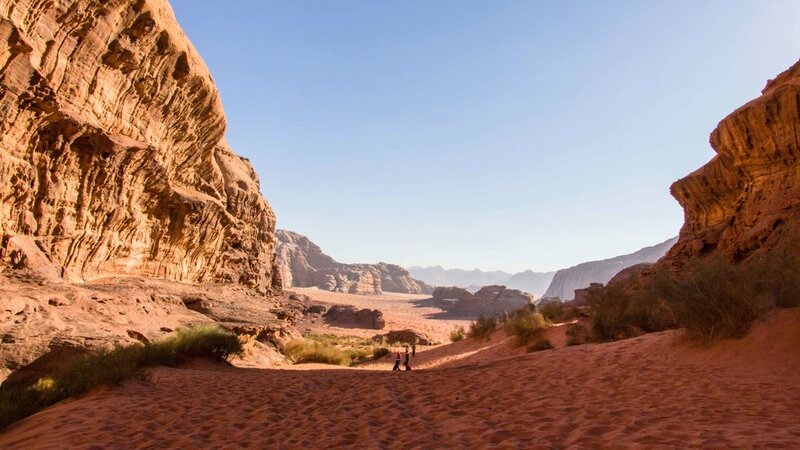 All together this day is an active day, full of variety in the stunningly beautiful Wadi Rum desert. After enjoying sunset you drive to the 'cave' where you will stay overnight under the stars. Your guide will prepare a Bedouin dinner. The evening can be spent around the fire. Your guide can tell you about Bedouin culture and music or you can gaze into the starry night sky and enjoy the peaceful silence of the desert. Optionally, you can add a 1 or 2-hour camel ride at the beginning or end of your tour. Today, you'll awake to the rising sun as it illuminates the beautiful desert landscape. Your guide will prepare a traditional Bedouin breakfast, after which you'll return to Rum Village where your taxi driver will be waiting. 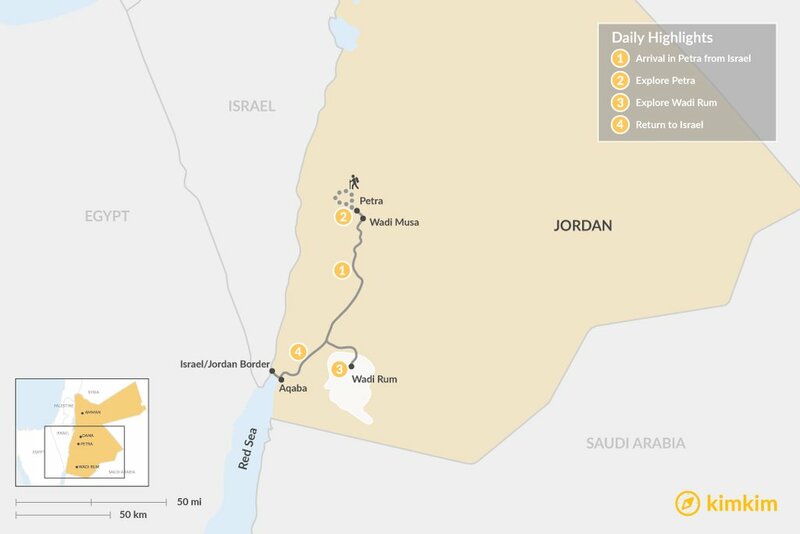 From here, you'll be transferred back to the Wadi Araba border crossing.